This battery-operated signal made of sturdy plastic is just right for children. It has a green and a red LED that light up. This color light signal can be switched between the green and red LED lights either by pressing a button or it takes place automatically after 7 seconds. The battery holder is built into the base of the signal. 2 AAA batteries are included with the signal. The signal stands approximately 12 cm / 4-3/4" high. 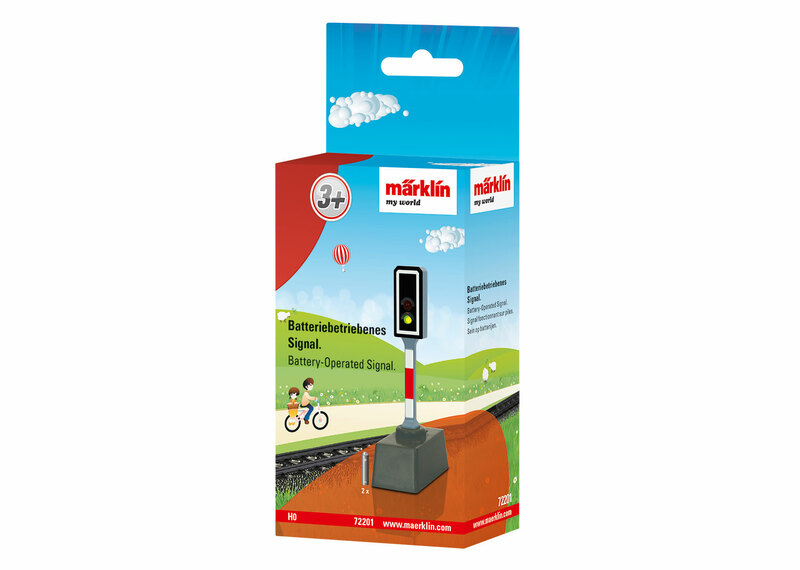 Since this signal is a toy for children ages 3 and above, is has no influence over the running of trains on the layout! This battery-operated signal is the ideal add-on for the battery-operated trains, item nos. 29200, 29201, 29202, 29203, 29204, 29206, 29210 and 29270.